SHORT observation on my perspective of lyrics – arts, ink. I don’t know if this is extremely unusual but when I listen to a song, I tend to be initially attracted to it based off of its beat and sound rather than words. I listen to feel some sort of connection inside of me. I imagine water inside of me doing a dance. It crashes and swirls as the beat drops and picks up again. I also enjoy the feeling of a speaker playing music. Some of my friends have cylinder speakers that have circles on the ends of them, which move to the beat of the song. I can’t remember how it happened, but one day we started placing the speaker on our chest to feel the thud of the circle. My heart and chest were pounding, and all I wanted to do was dance to the “pound” of the beat instead of worrying about the lyrics. For Arts Ambassadors this week, we hosted Omar Offendum, a Syrian American hip-hop artist, designer, and poet, for Dinner With An Artist. Throughout the dinner we talked about his unique cultural story and his career but what struck out to me is when he made a comment about how, “Music isn’t just that lyrical today.” As a hip-hop artist and performer, he creates music to inspire not just with his beats but with his words. At the end of his dinner he showed us his music video for, “Close My Eyes”, which “is a lyrical / visual reflection of immigration, fatherhood, mortality, Syria, America, & Mother Nature” (https://www.youtube.com/watch?v=_o4hVgPnFpE). He is an artist who seeks action with telling his story mainly through words. The formulation he creates helps him come to terms with what is happening and has happened in the world, as well as giving him ideas to create change. In addition to his music video, we watched him perform live for us. Both the video and performance were incredible and mesmerizing poems. His tempo and annunciation of some words while fading or talking quickly over others allowed the audience to hear what he wants us to pinpoint. Furthermore, his imperfect rhymes and story he chose/chooses to tell make the song absorbable. While watching him perform his art, instead of listening to the beat first, I listened to the words to carry me through. Our Dinner With An Artist event with Omar Offendum enlightened me with his story but also about how I need to be more aware of what I am listening to. That is not to say I am completely drawing back from my usual listening style, but instead, I am going to try enjoying and appreciating the song for both its lyrics and “pound”. P.S. 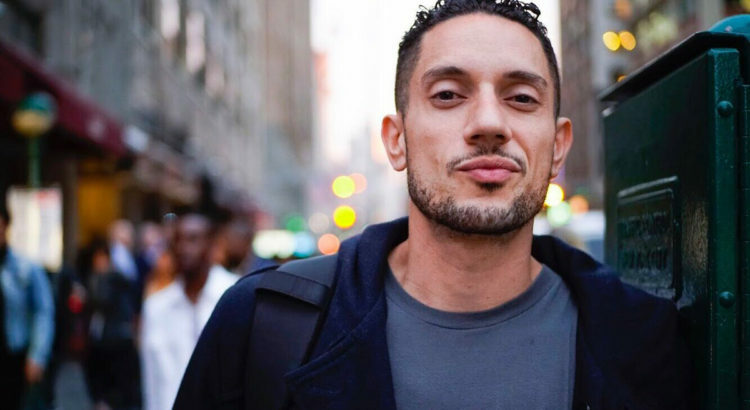 Please check out Omar Offendum’s music. Click here to view, “Close My Eyes”.